Junk food, for all of its yumminess, is a gateway to many health problems, often increasing your risk of heart disease, metabolic disease, and even cancer. In fact, researchers have developed a new nutritional labeling system that ties a low-quality diet with increased risks of several different types of cancer, and it could help prevent you from developing a form of the disease. The Nutri-Score logo is based on the British Food Standard Agency’s Nutrient Profiling System, which calculates the nutritional quality of each food and drink based on a 100-gram content measure for energy (calories), sugar, saturated fatty acids, sodium, fiber, and proteins. The system has been used in the United Kingdom (U.K) to regulate food advertising to children for more than a decade. 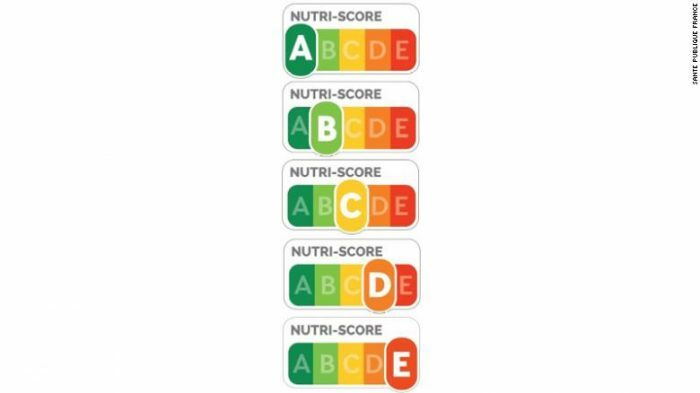 The new Nutri-Score system calculates food quality using the same method as the British standard. However, it differs in that it uses both colors (from dark green to dark orange) and grades (from A for the “highest nutritional quality” to E for the “lowest nutritional quality”) in order to simplify things for shoppers. A quick glance at the logo lets buyers know whether they are purchasing a high-quality or low-quality nutritional product. A study published on September 18 in the journal PLOS One looked at the scientific evidence of the value of the British Food Standards Agency system as an underlying basis for the Nutri-Score system. Researchers used the Nutri-Score system to examine the diets of 471,495 adults from 10 European countries. Participants self-reported the foods and beverages they commonly consumed using the British Nutrient Profiling System, which calculated a Nutri-Score for their usual diet. Those whose total score reflected a lower-nutritional-quality diet were found to have a higher risk of total cancer. Among those with the highest junk food scores, cancer rates were found to be 81.4 cases per 10,000-person years. Specifically, the rate for men was 115.9 and the rate was 66.6 for women. By comparison, those with the lowest junk food scores had cancer rates of 69.5 cases per 10,000-person years. Among men, the rate was 89.6 for men and 61.1 for women. Higher rates of colorectal, respiratory tract (lips, mouth, tongue, nose, throat, vocal cords and part of the esophagus and windpipe), and stomach cancers were found among those who consumed the most junk food. Separately, men showed a higher risk of lung cancer, and women showed a higher risk of liver and postmenopausal breast cancers. It is highly probable that the findings reflect more than just diet quality, as people who eat junk food are more likely to be overweight and to lead a sedentary lifestyle, both of which are risk factors for cancer. It’s important to note that the study is somewhat limited in that it relied on self-reporting, which is known to be less-than-accurate. I’d also like to note that the system used for analyzing food quality didn’t focus on micro nutrients, such as vitamins and minerals, which is certainly not ideal. 2. Cut down on fast foods and processed foods that are high in fat, starches, or sugars. Lay off prepared foods, snacks, bakery items, desserts, and sweets. 3. Consume no more than 3 portions (350-500 grams) of red meat such as beef, lamb, and pork per week. Avoid processed meats. 4. Drink mostly water and unsweetened beverages, and avoid fruit juice. 6. Avoid dietary supplements – get your nutritional needs through diet alone. 7. Mothers should breastfeed whenever possible, as breastfeeding has numerous benefits for both mom and baby. 8. If you’ve been diagnosed with cancer, continue to follow the above recommendations after speaking with a health professional. 9. Spend less time sitting in front of a screen and be more physically active. 10. Eat 5 portions (400 grams) of fruit and vegetables a day, particularly leafy greens like broccoli, okra, eggplant, and root vegetables, as well as whole grains, beans, and lentils. Aim for a variety of brightly colored produce. Nothing wrong with sodium, so long as it’s natural. Consume as much as you care to. There’s zero risk of blood pressure issues.